Andy Abramson provides three reasons that you must lead your college ministry with vision. One of the greatest risks to our ministries is lack of vision. Have you ever found yourself doing things because that’s what you did the previous week… and the week before that…and the week before that? As leaders, it’s easy to fall into doing things without knowing why we do them. Or maybe even worse, the past becomes the idols we hold onto for the sake of tradition. When we fall into these traps, we’ve failed to realize how easy it is for our students to do the same. Clarity of where “we” are trying to move together in our ministries is imperative. Vision in our lives and ministries brings clarity, motivation and sense of meaning for why we do what we do. As leaders painting a picture of the future and rallying people around that picture is essential. In each of us, there is a desire to be a part of something bigger. And that something bigger, is the opportunity to be a part of the Kingdom of God moving and penetrating our world. There are unique things that vision instills in the people we are leading. Let’s look at three of them. I think about particular points in my life with special fondness. For me one of those moments was in high school. It wasn’t because I particularly liked high school, but rather the opportunity I had to be with a very special group of guys playing high school basketball. We spent hundreds of hours on the basketball court, times at the park playing pickup games, riding on the bus together and teaming up in different leagues during the off season. All of those hours were around a vision of our team going to the state tournament. And that vision, drove us to a mission of becoming the best basketball team that we could be. Our team was unified around that one common vision. But what I didn’t understand as a young 16 and 17-year-old, was the relationships that would be forged through that vision and mission. It’s amazing how I can still see some of those guys 20 years later and we can jump right back into a relationship like no time has passed. That mission and vision unified us in a way that I am just beginning to understand now. I’ve had the opportunity to see this play out in different ministry contexts. I’ve been around groups of people who were so inspired by a particular vision. This vision unified them around the mission that God had called them to be a part of. When we are so intensely focused on the mission, many of the small petty things that we become concerned with begin to not matter. Is your team and ministry unified? If not, chances are you’ve lost sight of the vision that God has called you to. Vision unifies the people were trying to lead. As leaders we must be committed to leading through vision so we can experience unity among our people. If you’ve been in ministry for any period of time, you know the value of momentum. Once you have momentum on your side, you try to squeeze everything out of it that you possibly can. It’s one of those parts of ministry that is hard to plan and strategize for, but very easy to lose. When we get momentum, there’s nothing like it! It creates a sense of synergy around the mission that propels us forward into uncharted waters in breaking ground into new territories. Very rarely will you ever see momentum without crystal clear vision of where the ministry is seeking to go. Vision energizes our mission and builds momentum in our people! Do you currently have momentum in your ministry? Vision in our ministries can fuel momentum for us to see the fruit of our work multiplied in an exponential way. Vision fuels and builds momentum. Seven years ago, our family made an enormous step of faith! 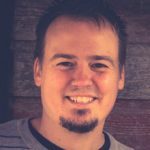 We stepped outside a full-time paying job within a local church to start an organization helping churches start and develop college ministries. I remember those days and the risk our family took. Our family was willing to take that risk because of the intense vision that God has put on our hearts. That crystal clear vision set the table for us to jump into unknown waters. As leaders, we can become frustrated with the stagnation of people in our ministries. Often this stagnation comes about due to lack of clarity. The beauty of a crystal clear vision is that is brings clarity to our lives and ministry while inspiring us to follow Jesus in ways that we may not normally. As collegiate ministers we have a huge opportunity to set a vision for our students that propel them forward into following Jesus in radical ways. There are not many things better than a college student who has been captured by a gospel vision willing to risk everything for the sake of God’s Kingdom. As leaders let’s cast vision to help bring clarity to our people that motivate them to be a part of The Kingdom. Keeping vision in front of our people is hard work! We can assume that people have already heard it or know it. We can often overestimate others in the understanding of the vision. As leaders, we can often put casting vision on the back burner because more pressing needs seem to arise to the surface. We can forget about the extraordinary benefits of having a crystal clear vision. Vision provides unity amongst our teams and with our people. Vision builds and fuels momentum in our ministries. Vision sets a table for Kingdom risk calling our people to something bigger. Let’s be leaders that lead through vision.